This best-selling 17", 1.5 HP floor buffer polisher by Task Pro, is a high quality dual capacitor machine that can be used on all hard floor surfaces as well as carpets. The value on this machine can't be beat because of it's powerful motor, triple planetary transmission, and low cost! 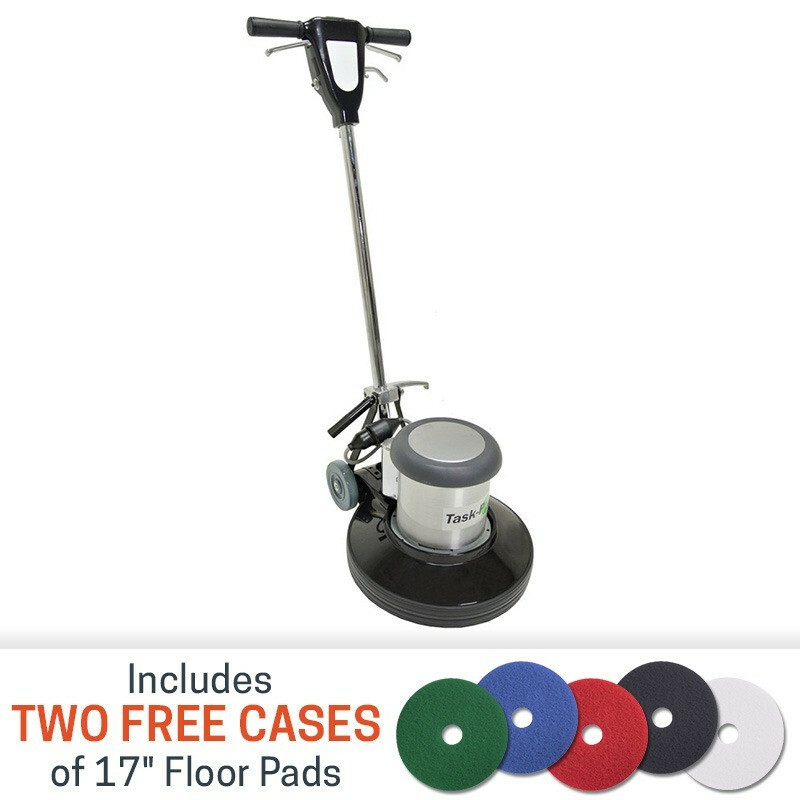 Features like the adjustable handle, 5" transport wheels, non marking bumper, and safety switch levers make it a the ideal machine for anyone that need to scrub, strip or polish hard floors! 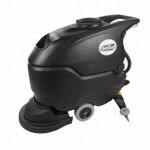 If you're looking for a single machine that provides a nice polish, but still has enough power to scrub tough, dirty floors, this is definitely the machine for you! The 175 RPM will provide a nice polish to the floor, but won't provide as much of a shine as our high speed polishing scrubbers. Comes standard with a 5 year power train warranty, and a 1 year warranty on parts and labor. Check out our other carpet & hard floor low speed rotary scrubbers or dual speed floor polisher scrubber machines for more options. You're sure to find one that fits your specific needs. 5 year power-train warranty, and 1 year on parts and labor.